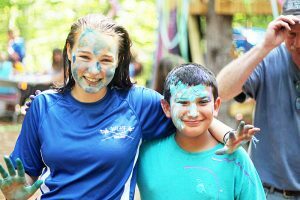 Picking the right summer camp to send your child is a very hard decision. Debating whether to send your child to a sports camp vs traditional camp. Quinebarge is here to make these decisions easy. 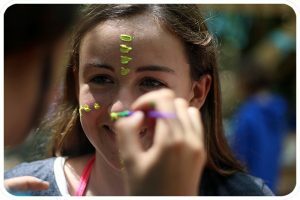 Quinebarge has been around for 80 years providing kids a safe environment to have fun and be themselves. Everlasting Friendships and fun go hand in hand at Quinebarge. 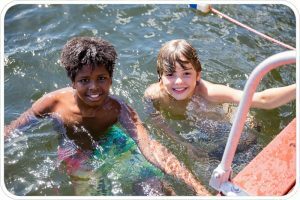 We find that our all camp swim and our beautiful waterfront make us one of the best New England camps that are on a lake. For over 80 years Quinebarge’s home is located in beautiful Moultonborough NH. Spread across 70 acres Quinebarge has so much natural beauty. One of the best parts about Quinebarge is the waterfront. Our waterfront is located on Lake Kanasatka where our campers swim and boat all day long.